BCHS is proud to announce that it is working with the non-profit organization, SAGE, to assist with the opening of their new, groundbreaking Ingersoll Senior Residences development. 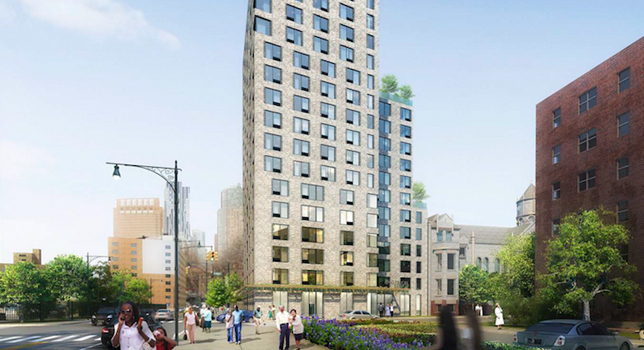 Located in Fort Greene, Ingersoll will offer 145 units of affordable, LGBT-friendly housing – the largest LGBT-welcoming elder housing development in the country. SAGE is the nation’s largest advocacy and service organization dedicated to improving the lives of LGBT elders. BCHS – utilizing it’s four decades of affordable and supportive housing expertise – is helping interested low-income older adults navigate the Ingersoll Senior Residence application process so that it is as easy, efficient and accessible as possible. Ingersoll Senior Residences will also feature a SAGE Center on the ground floor for older adults. The development is expected to open in June 2019, coinciding with the 50th anniversary of the Stonewall Uprising and celebration of World Pride in New York City.